Seriously. You Couldn’t Make This Stuff Up. 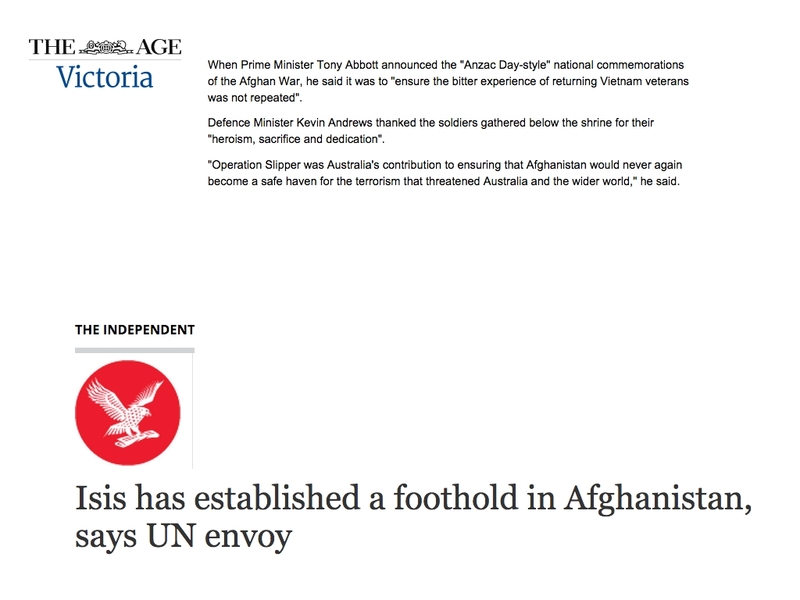 According to The Age, the Defence Minister says Afghanistan will “never again” be a safe haven for terrorists. And on the very same day, The Independent says they already have a foothold. By the way, Prime Minister, the reason soldiers were maligned after Vietnam wasn’t because they didn’t have a welcome home parade – it was because that war was immoral and unjust. The PM also thinks Afghanistan is a better place now. It seems like he hasn’t been keeping up with the news.